From planning to designing to coding, we make your website work & we make it look good. If you're not quite sure how to get your website up and going leave it to us. We've worked with clients of all shapes and sizes, creating online solutions that consistently turns into profitable and effective businesses. At OTD we offer professional, custom made websites. We don't offer you a bunch of pre-made templates that is not designed for your needs. 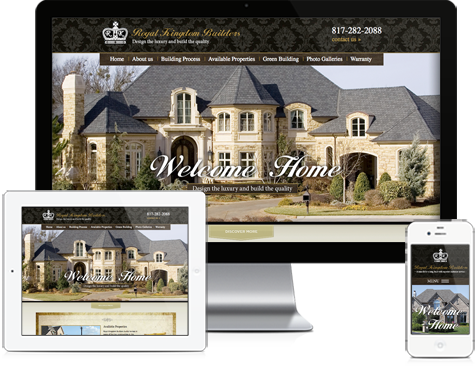 We make sure your website is custom tailored for your needs and deliver results. We settle for nothing less then the best-looking sites on the web. If you don't see what you need below just let us know what you are looking for. 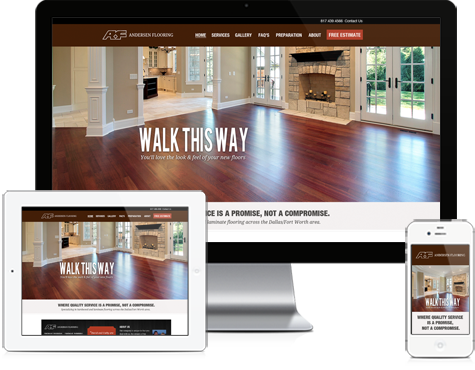 extra mile to design you a beautiful website that looks good on all devices. From the latest technologies such as HTML 5 and CSS 3 we only use the most cutting edge technologies to code and build websites. 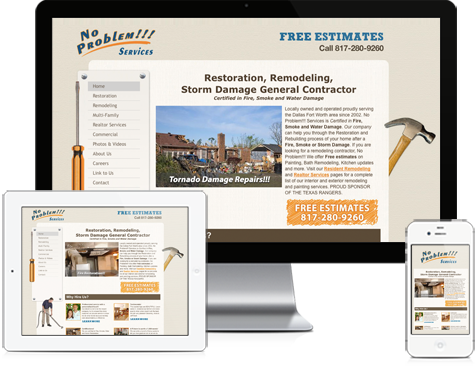 We ensure all sites we build are cross browser compatible and mobile friendly. Our e-commerce sites are built and designed with quality and simplicity in mind. From small to big stores we have plans to fit your budget and can show you how to manage your online store. A successfully website is one that is updated on a regular basis with information, pictures and important announcements. We offer a simple to use content management system that makes updating your site a breeze. Create and send beautiful email campaigns. We show you how to attract new subscribers and send them beautiful emails that will introduce a whole new revenue stream for your business. All our websites have fundamental SEO practices automatically built in. We also offer advance SEO services to help you get more exposure. We can help you get the perfect domain for your site and offer reliable web hosting at crazy low prices. Our plans have unlimited space, email addresses and tons of features for top of the line web hosting. Marketing has changed and to be effective you need to reach your customers where they are. Whether it's Facebook or Twitter we can help you move your brand across multiple social networks and train you on how to use each one. How we create your site. The first thing we do is to sit down with you and get a solid understanding of your company. We'll look at your current business model as well as your short and long term goals. Next we offer creative ideas to help zero in on your goals and create a timeline for how long it will take to build your site. This is where we start bringing your ideas to life. We pull together all the information to build a compelling story. We'll go through the entire site, work with you to write the content, build the page flow and make layout decisions. When all is said and done you will have a solid blueprint of your new site. Like any product you get from OTD, we are all about the design. A great looking web site is usable, simple, and beautiful to look at. However it's just not all about looking good. We create an experience that feels seamless to the user and leaves a lasting impression. Once you are happy with the design we go to work on building the code for your site. We ensure it works on all browsers and mobile devices so customers can access your site no matter what device they are on. 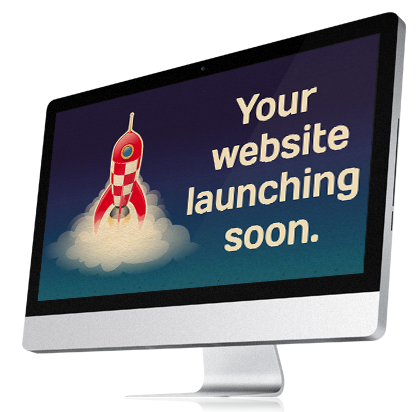 Once your site has been built we go through diligent testing to ensure a successful and smooth launch. We can even help market your new site and get the word out to your customers to build your online presence. After we successfully launch your site we keep a close eye to make sure it continues to operates smoothly. We can provide you with site analytics that can help with critical business decision to help you grow. Our team has been building websites since the mid 1990's and is up to date on the latest and greatest technologies. That means our experience and knowledge allows us to create the best online solutions at the most affordable price. We will work within your budget to deliver nothing but the best possible solution to help achieve your online goals.